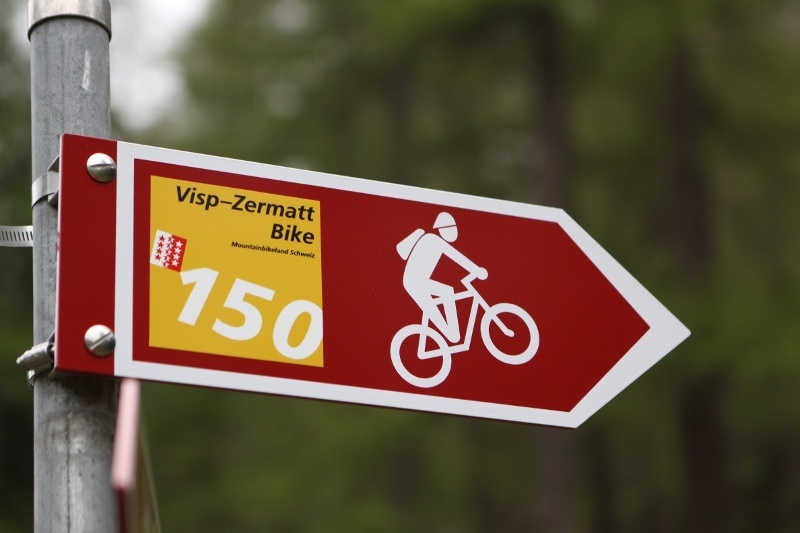 Accompanied by changing but still fascinating views along with the wild waters of the Vispa or the snow-capped mountain peaks – this is the new bike trail from Zermatt to Visp. 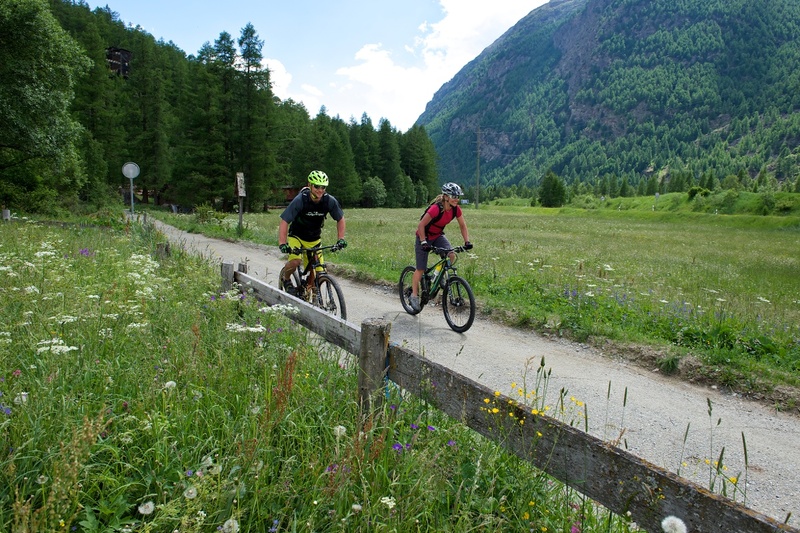 It is suitable for all bike riders who are enthusiastic about nature and really like a somewhat technically difficult but still a bit longer tour. The first section is along the recently expanded trail to from Zermatt to Täsch and includes the last view of the Matterhorn. At Täsch, the beautiful Schalisee invites one to rest. The tour continues from Randa to St. Niklaus past the massive scree from the 1991 rockslide, a view of the Bis Glacier and over field tracks. From Kalpetran the cyclist continues along the historic road, past the still visible dry-stone walls, which are listed in Switzerland’s inventory of historic traffic routes (IVS), to Stalden. Afterwards it goes further down to Visp. The Matterhorn Gotthard Bahn is a constant companion along the route and can be used to shorten the tour at any of the different stations. 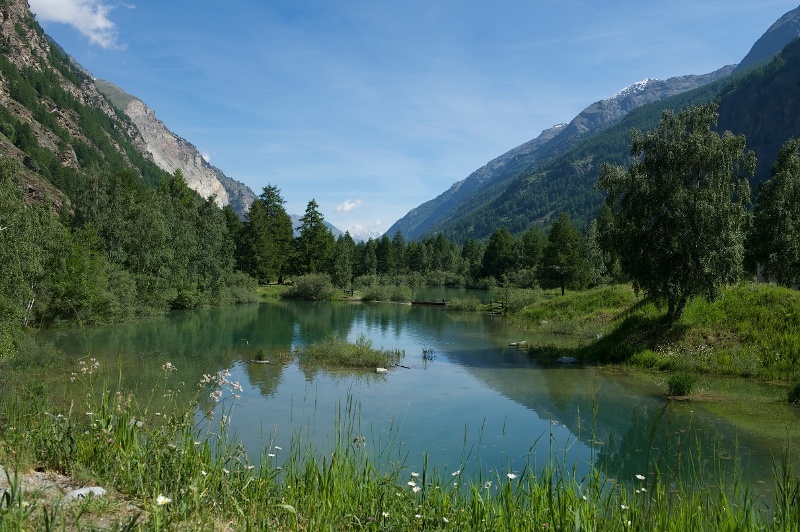 Schalisee is located amidst larch trees and grassy meadows along the flat valley floor at Täsch. 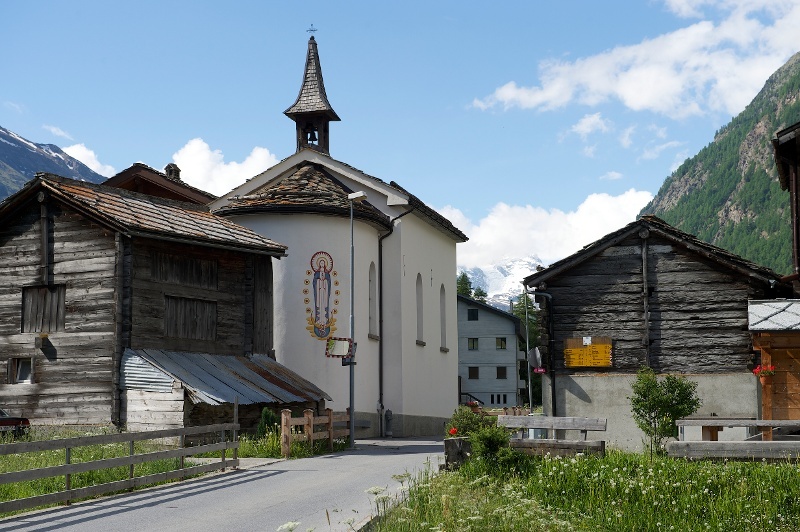 With grills including wood and the possibility to swim and picnic, this is an ideal place for a rest before taking on the last section of the route to Zermatt. The riding skills required are moderate over about 90% of the route. 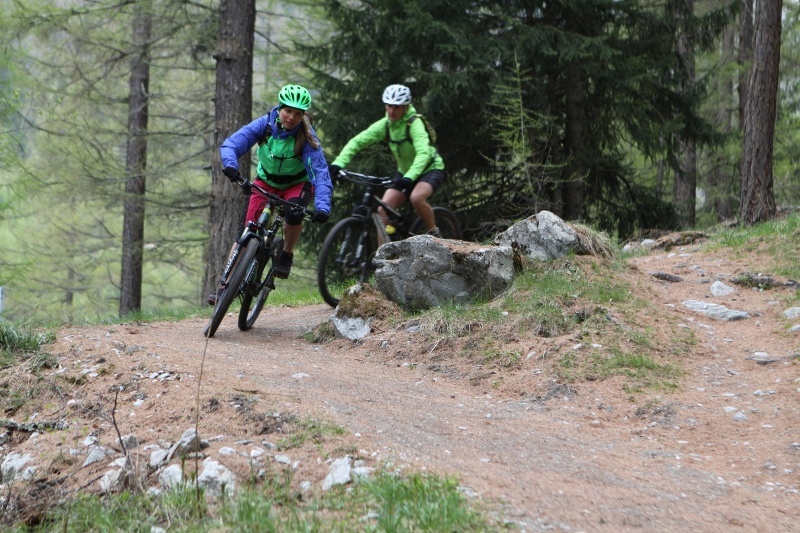 It is recommended that less skilled riders consider pushing their bikes along the more difficult sections.